Bringing you civilization on demand, the Garmin RV 760LMT provides a helpful guide during your road trips. The first navigator designed for the avid RVer, this GPS offers customized RV routing with impressively detailed maps, restrictions and a comprehensive RV parks and services directory. In addition, the unit comes with highly useful and extremely helpful features that include the best of technology such as Smartphone Link, Bluetooth and voice commands, all engineered to make driving more effortless. Furthermore, the RV GPS enables trip planning and sharing with exceptional map and traffic updates for its lifetime. This product offers everything you need to enjoy every trip in your vehicle every time. Some users point out that the GPS works well once the unit is gotten out of the demo mode, which entails driving down your route in your vehicle for about half a mile. Downloading of updates is doable but will require that it be done for the whole database for the entire USA. This means even those locations you are not likely to drive to can eat up memory space along with the ones you really need. Those two issues can be a problem for some users who want to be able to use the unit right out of the box, but is sure to optimize the use of the RV GPS. Providing detailed maps for the whole of the US and Canada, the Garmin RV 760LMT provides RV-related restrictions for a huge number of major roads and highways, including bridge heights. Personalization to your vehicle is easy, as you only have to enter the dimensions of your vehicle, which includes as its length, width, height and weight. Once this is done, the system provides the suitable routes for the RV. 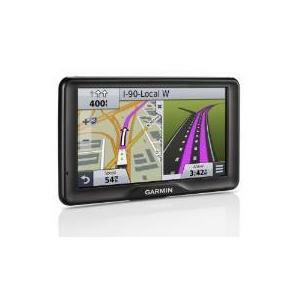 This Garmin RV GPS offers the only RV Parks and Services directory available for this kind of equipment. The comprehensive listing of RV parks and campgrounds covers almost 20,000 locations in the US and Canada and even allows you to filter the information based on your preferred amenities, such as electric hookups, internet access, pet-friendly zones and more. 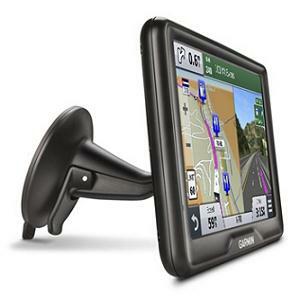 This RV GPS is equipped with the most revolutionary technologies for its class. The device responds to your spoken commands and also offers voice-engaged navigation aside from the touchscreen interface, enabling you to keep your eye on the road ahead. The device is also able to link up with a compatible Bluetooth-enabled device including your smartphone or tablet, enabling you to do hands-free calling while driving, thanks to the built-in speaker and microphone. Your smartphone can safely be placed in your pocket, purse or glove compartment and you won’t need to scramble for it to take and initiate calls when needed. This RV GPS employs a free mobile app called Smartphone Link to interface with your Android smartphone or iPhone, thus enabling it to utilize the current data plan on your phone to share information. Empowering you to plan and share the perfect trip in your RV, this RV GPS offers BaseCamp, which allows the creation of routes using specific roads. the technology also searches for local restaurants, attractions and fuel stops for you. Once your pre-planned trip is uploaded to the RV GPS, you are assured of an amazing riding experience. You can easily update maps and software, install custom vehicle icons and voices for free and transfer favorites to and from devices using Garmin Express, a proprietary system that keep the RV GPS constantly updated. The device also comes with lifetime traffic and map updates so you can drive confidently knowing you have the latest information on maps and points of interest as well as RV Parks and Service directory info in America.